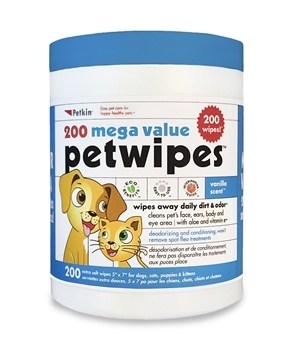 200 wipes, 5" x 7"
Veterinarian tested PetWipes provide a fast, convenient way to keep your pet clean and healthy everyday. 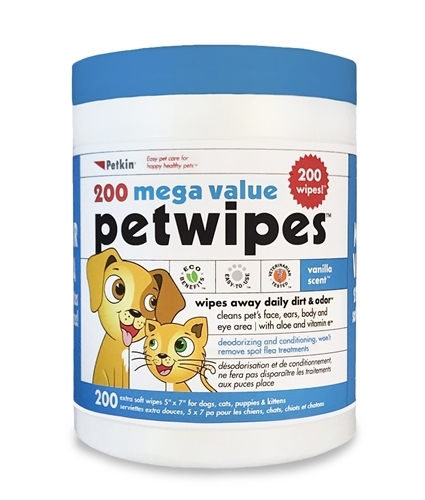 Each wipe is moistened with a gentle cleansing formula that helps maintain a clean and healthy pet coat while restoring skin moisture and softness. Use daily for quick cleanings, controlling pet odors and wiping dirty paws.